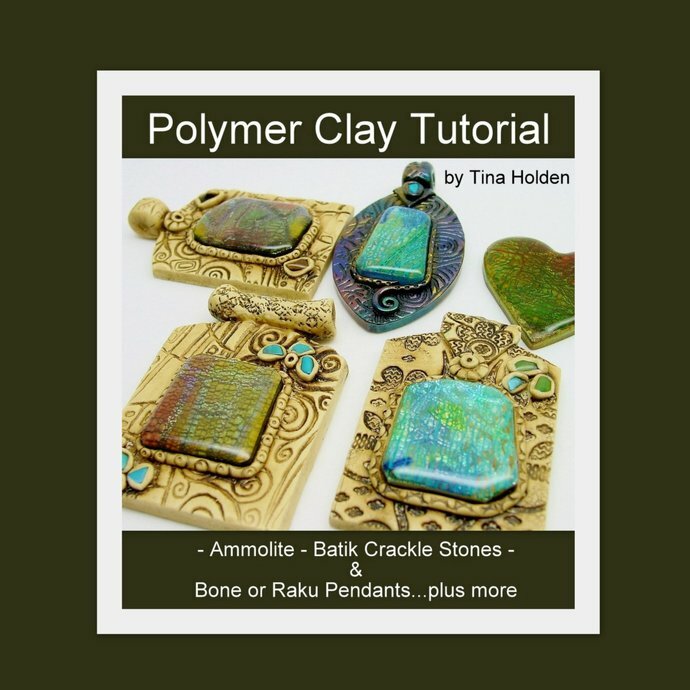 Here is one of the tutorials I've been asked about on how I do this. 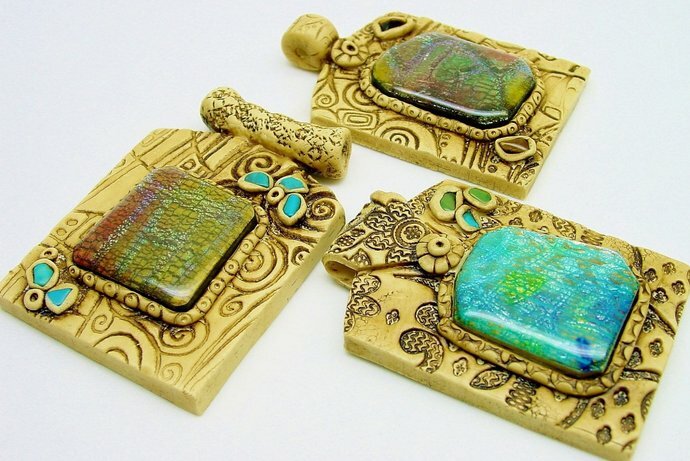 "Ammolite & Batik Crackle Stones on Bone or Raku Pendants" is the full title, full of technique and how to. 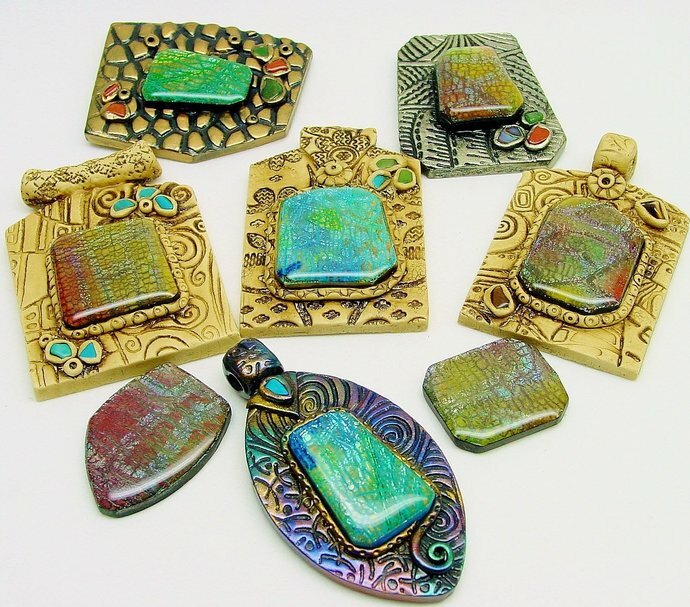 If you're not familiar with Ammolite, it is one of the most wonderful gems, full of flash and fire and just about any color you can think of. It is the fossilized shell of the extinct sea creature Ammonite. 2. Tina New Crackle technique. 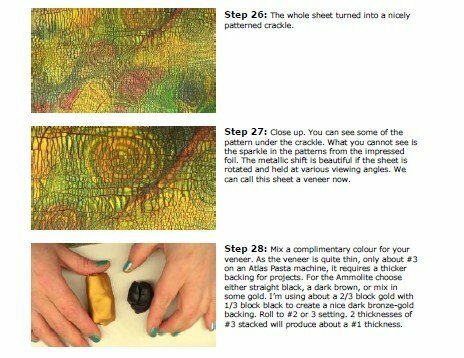 Shows one of the methods because this tutorial focuses on other techniques plus a project :). 10. Tips and much more. Nearly 100 photos and 24 pages of instructions. 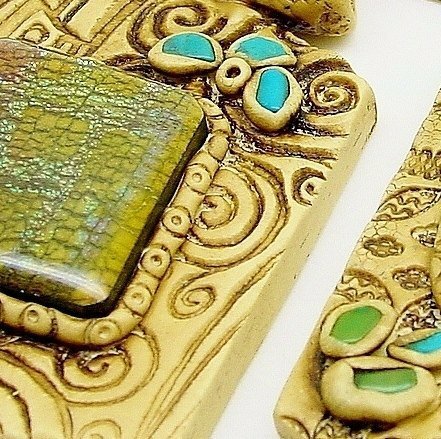 You may create and sell items you make from all my tutorials. I would love if you shared what you made with this!